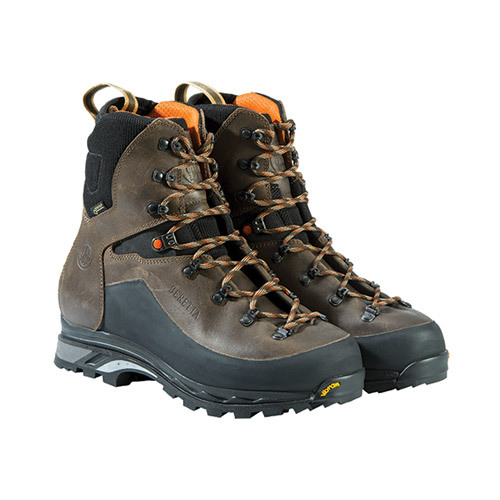 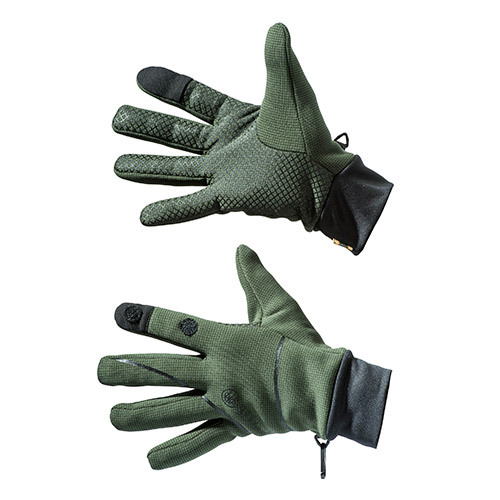 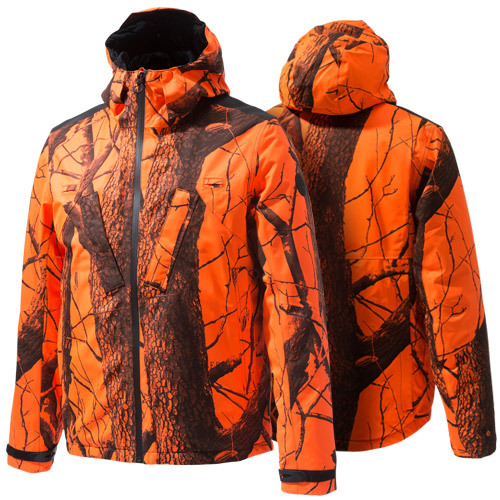 To be safe in the Big Game hunting Beretta offers you three waterproof and silent jackets in camouflage Realtree AP® Blaze orange that offers the perfect combination of color and camo. 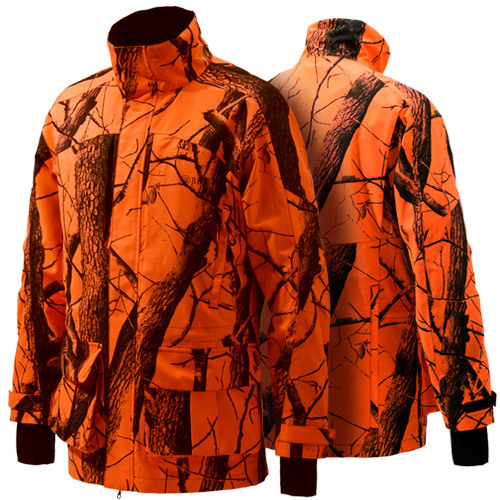 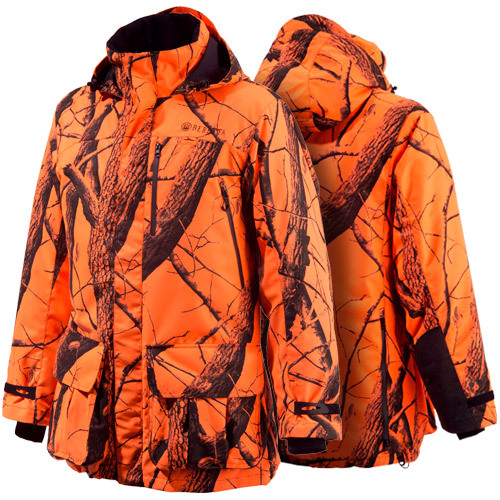 The high visibility orange camo allows you to be identified by other hunters, while hiding you from the animal eyes. 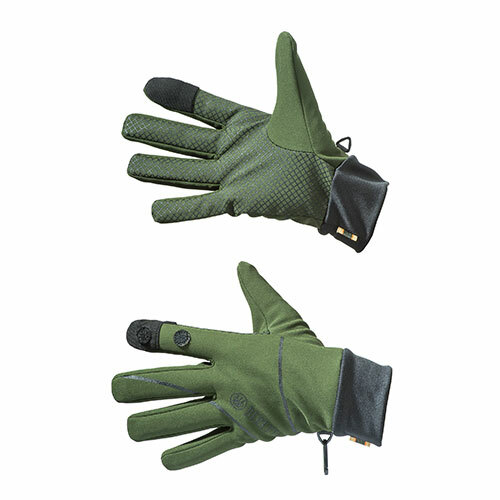 Long, short or padded choose the garment that best suits your needs.